Choosing a pick-up truck can be difficult if you don’t know what you’re looking for. But, if you know exactly what you want in a truck, finding the right one that fit your needs is (dare we say it)… easy. Mayfield Toyota has spent over 20 years in Alberta. We understand how important trucks are to our customers across the province. The Tundra has proven itself to be a reliable, hard working pick-up time and again. 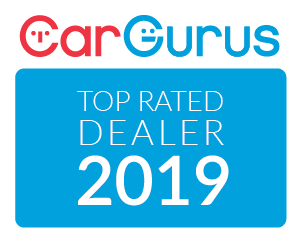 And, with new innovations and the latest in safety and towing tech, it’s an obvious recommendation for our customers. If you’re shopping for a new truck in Edmonton, look no further. 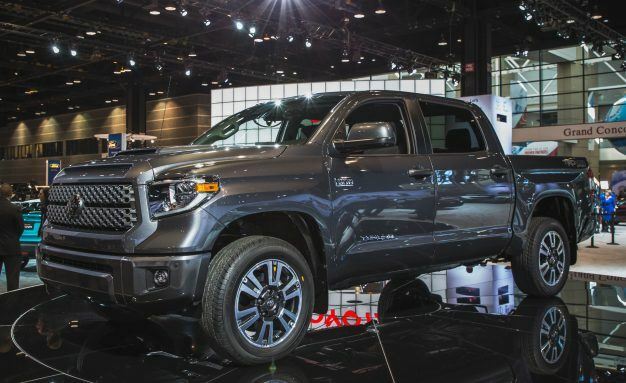 The 2018 Toyota Tundra is the right pick for you! The 2018 Tundra is offered in five trim levels: SR, SR5, Limited, Platinum and 1974 Edition. Two engine options are available: a 4.6-liter V8 (310 hp, 327 lb-ft) and a 5.7-liter V8 (381 hp, 401 lb-ft). There are two body styles to choose from: The Double Cab crew cab or extra-large CrewMax. Finally, there are three-bed lengths: 5.5-foot short bed, 6.5-foot standard bed and 8.1-foot long bed. Keep in mind, not all configurations go together, depending on what you want. However, our knowledgeable product advisors can help you choose the right combination of elements to build the best truck for you and your needs. Calling all racers (and racers at heart) – the all-new TRD Sport Package is everything you want in a high-performance pick-up. Designed at Toyota’s in-house TRD facility in North Carolina, the TRD Sport has become synonymous with speed, style, and performance. For 2018, Toyotas has developed a new hood scoop, bedside decal and 20-inch alloy wheels with a black-accented finish. Additions also include LED headlights that incorporate head-turning Daytime Running Lights. There’s even a new Sport Shifter with silver accents and Toyota’s signature Bilstein shock and sway bars to give the truck flatter cornering and a smoother ride. The 2018 4X4 Tundra DBL Cab SR comes standard with a 6-speaker, 6.1” Touchscreen Audio with Bluetooth capability and backup camera, 40/20/40 split bench front seats 60/40 fold up rear seats, cruise control, LED Daytime Running Lights and Toyota Safety Sense, a new addition for 2018. Available features include leather seat surfaces, heated and ventilated driver & front passenger seats, dual zone climate control and a power tilt/slide moonroof. With up to 10,000 lbs. of towing capacity, no obstacle is too tough for the 2018 Tundra. With available features like integrated trailer brake controller that applies the brakes to the trailer when you apply them in the truck and tow-haul mode that helps the transmission find the right gear no matter the size of the load, you can feel confident knowing your Tundra can get the job done. WHY IS THE 2018 TOYOTA TUNDRA THE TRUCK FOR ME? Toyota has proven that the Tundra is one of the most capable, hard-working, and commanding trucks available on the Alberta truck market today. There are dozens of configurations available, depending on what you want. And, with premium options such as the Platinum and 1974 Edition models, you can have as luxurious or basic a ride as you want. Come see us today and we’ll get you into the truck of your dreams.